As recent university graduates, we are grateful to have had the opportunity to learn more about Universities Canada–and from none other than an OLIP alumnus. Today, Paul Davidson is the President of Universities Canada, a federal organization representing the interests of 96 participating institutions from across the country. However, in 1988-89, Davidson was an OLIP intern. He had placements with Peter Adams, the Liberal MPP from Peterborough, and Richard Johnson, the NDP MPP from Scarborough West. His post-OLIP career has been wide-ranging, and includes working for the Ministry of Finance, leading a stakeholder relations firm, and serving as the executive director of both the Association of Canadian Publishers and the World University Service of Canada. In his current role, Davidson is responsible for advocating on behalf of three major policy areas. First, Universities Canada is a perennial advocate on behalf of investment in research and innovation. Second, there is a need – given the economic realities of globalization – for Canada to seize its international moment. For degree-granting institutions, this includes welcoming international students, recruiting faculty with international experience, and encouraging Canadian students to take advantage of opportunities to study abroad. Recent global events are changing the demographics of international students attending Canadian universities: Brexit in the United Kingdom and hardline immigration rhetoric in the United States have, respectively, contributed to increased application numbers from India and Mexico. Lastly, Universities Canada is dedicated to advancing equity, diversity, and inclusion. Davidson observed that excellence is not possible without diversity, and that sexism is real and persistent in Canada, post-secondary education sector included. For example, relatively few – only 25% – of university presidents in Canada are women. Yet, even that number is a testament to progress, as it is also the highest-ever proportion of female presidents. These issues coexist in a context of ongoing change for universities in Canada. Funding levels remain an ongoing issue of concern; according to Davidson, per capita funding in Ontario today is less than it was 20 years ago. Also, recent emphasis on STEM disciplines (Science, Technology, Engineering, and Math) corresponds to reduced in enrollment in the Social Sciences and Humanities. Davidson observed that the liberal arts teach valuable critical thinking and communication skills, and that programs teaching those disciplines will need to work hard to share their virtues with prospective students. We want to thank Davidson for giving us a window into the issues facing universities in Canada, and for encouraging us to challenge ourselves and pursue adventurous careers. Last Friday, we have the privilege of visiting Samara. 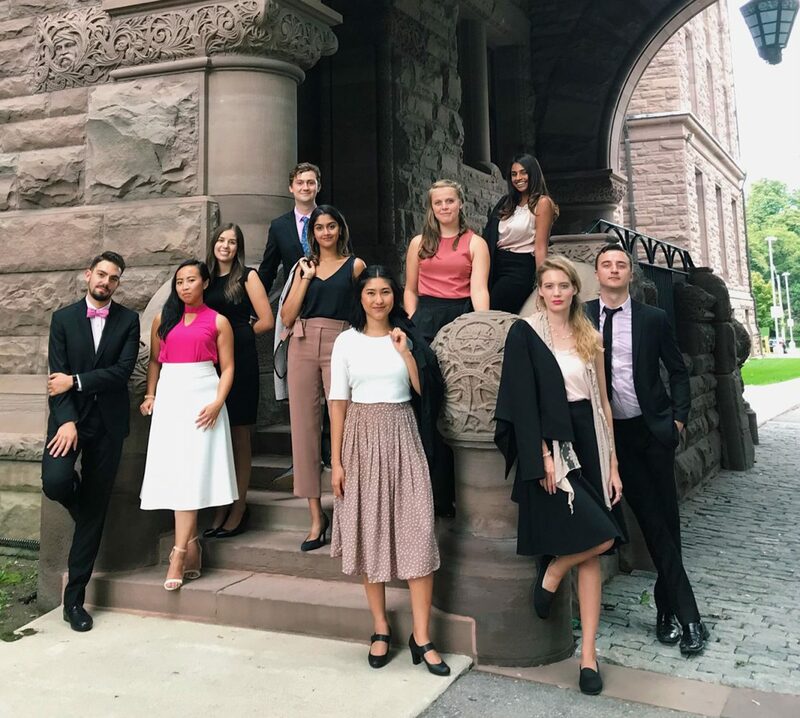 Samara Canada is dedicated to reconnecting citizens to politics, and has quickly become Canada’s champion of increased civic engagement. While most interns were familiar with Samara, we were interested in learning more about Samara’s research and educational programming, which largely promotes increased political participation. Their mantra is that increased political participation will inevitably create better politics. Samara was established in 2009, as a non-partisan charity. To date, they have produced various research reports (which include, and not limit): electoral reform, the impact of young voters in the previous federal election, and lowering the voting age. However, Samara is largely known for their “Everyday Political Citizen Awards” which highlights regular people, who are making their communities better. During a time when many Canadians are disengaging from politics, this project highlights those everyday citizens. In addition, Samara published Tragedy in the Commons (which, coincidentally, we have in our OLIP Library). The book is based on eighty exit interviews with former Members of Parliament, who detail their experience in Parliament. By publishing these reports, and remaining engaged in media, Samara creates a conversation about politics and democracy. All our meetings Yellowknife enlightened us to issues or themes present in the territorial level. We were excited to explore municipal governance and to that end, we met with Mayor Heyck, the 14th mayor of Yellowknife. Mayor Heyck walked us through his journey which led him to run for public office. Completing his studies in McGill University, he developed an interest in politics and sustainability. When he returned to Yellowknife, he ran for city council in order to create positive change for Yellowknife and the sustainability issues the city was facing. His love for municipal politics stems from the ability to create change in a relatively short period of time. 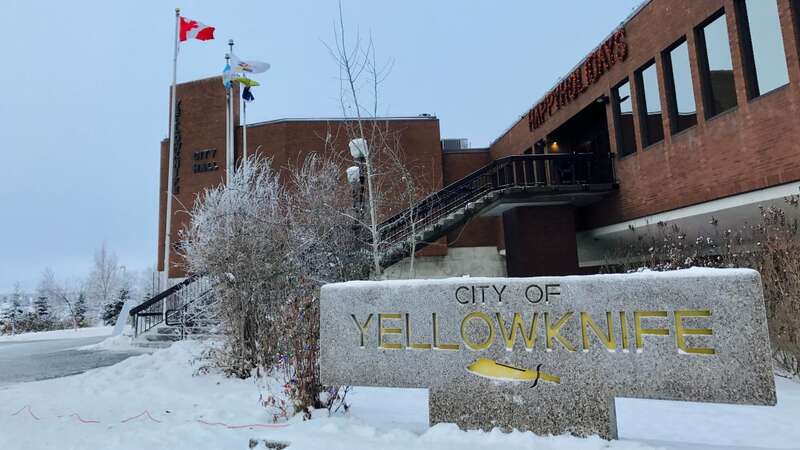 We were very surprised to learn that Yellowknife operates using an “at-large” system which means that the people of Yellowknife vote for all the councillors, as opposed to a “ward” system where voters in the ward vote for their respective councillor. Mayor Heyck argued that positive aspect of the large system allows councillors to plan and make decisions for the city as a whole. Mayor Heyck walked us through some of his accomplishments as Mayor. This includes (but is not limited to): overseeing the adoption of Yellowknife’s 10-year plan to end homelessness, economic development and tourism strategies and advocacy bringing issues forward to the Territorial and federal levels. Mayor Heyck was very proud of how Yellowknife was recently awarded the 2018 Sustainable Communities Award in the energy category from the Federation of Canadian Municipalities — recognizing the wood pellet heating heating system Yellowknife implemented. After our meeting, we were surprised to learn Mayor Heyck announcing he will not seek re-election. Thank you for meeting with us Mayor Heyck and we wish you the best of luck with what comes next! Fun Fact: Did you know one of Yellowknife’s sister cities is The Sakha (Yakutia) Republic, a Russian port city in Eastern Sibera? We were very eager to meet Premier Bob McLeod. The Premier joined us for breakfast in the Members Lounge, where we discussed the future of the Northwest Territories. Fundamentally, the Premier argued that the future of the Northwest Territories is bright, if they can attract and retain young talent. This correlated with current movement to establish a post-secondary institution in Yellowknife. One of the main problems the Northwest Territories faces is that young people have to leave to pursue post-secondary education. When these young people leave, the Premier argued they generally, “do not come back.” With younger people in the North, there will be greater economic development. The Premier also discussed the prospect of becoming a province, and determined that it is relatively impossible (while for various reasons, generally the lack thereof a tax base). In this sense, it is not practical, or feasible, for the Northwest Territories to become a province. Thank you for an informative meeting, Premier McLeod!